There are plenty of midsize sedans out there, so it can be hard for Mechanicstown drivers to make a decision. Of course, the 2013 Honda Accord Sedan does a great deal to recommend itself, offering a spacious and comfortable interior to go along with responsive handling and efficient powertrain. You can check it out now at Middletown Honda. One of the biggest competitors to the Accord is the 2013 Toyota Camry. While we think the Camry is a decent vehicle, we think the majority of drivers will be much happier with the Accord. Price is the one of the first things you’ll notice when shopping for a new car, and the price of entry is much lower for the 2013 Honda Accord Sedan LX with manual transmission, which sports a base MSRP of $21,680. The 2013 Toyota Camry L, meanwhile, has a base MSRP of $22,235. $555 is a significant difference for most people. According to ALG, the 2013 Honda Accord has a residual value rating of 55% after 36 months; with the 2013 Toyota Camry, that figure is 53%. 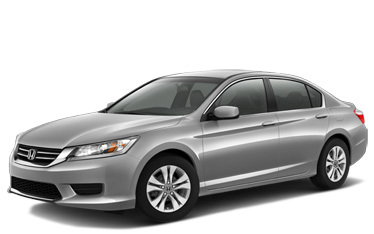 The Accord gives you more power—185 hp and 181 lb-ft of torque—than the Camry, which offers 178 hp and 170 lb-ft of torque. Features that come standard on the 2013 Accord Sedan LX but are either optional or unavailable on the 2013 Camry L include a rearview camera, dual-zone climate control, and automatic headlights. Many midsize sedans are judged by how much space they offer, and the Accord Sedan again comes out on top by offering 103.2 cubic feet of passenger volume and 15.8 cubic feet of cargo volume. The Camry, meanwhile, falls behind, offering 102.7 cubic feet of passenger volume and 15.4 cubic feet of cargo volume. We’ve presented many reasons for you to drive the 2013 Honda Accord rather than the 2013 Toyota Camry, but that’s just the beginning. To get a sense of what the Accord can really offer, come to Middletown Honda to take a test drive. Our dealership is conveniently located just five minutes north of Mechanicstown, and we’re happy to serve drivers throughout the area.